The Oscar nominations will be announced a week from today, and the stars, the studios, and Harvey Weinstein are putting in their last pushes for nods. One of the most tried and true methods of getting the Academy’s attention is the “For Your Consideration” ad, a one-page commercial typically run in trade publications like Variety touting an actor, a director, or a film to Oscar voters. The ads usually feature the actor or an iconic image from the movie, along with laudatory quotes from reviews and articles raving about the performance or picture. Because paying for an FYC ad is a way for studios to show respect to the people they work with, not all FYC ads are for legit Oscar contenders; there are lots of films and performances that get FYC ads for awards they don’t have a real shot at winning (Sherlock Holmes for Best Picture, for example). But wouldn’t it be better to push movies for the awards they truly deserve, Oscar categories be damned? 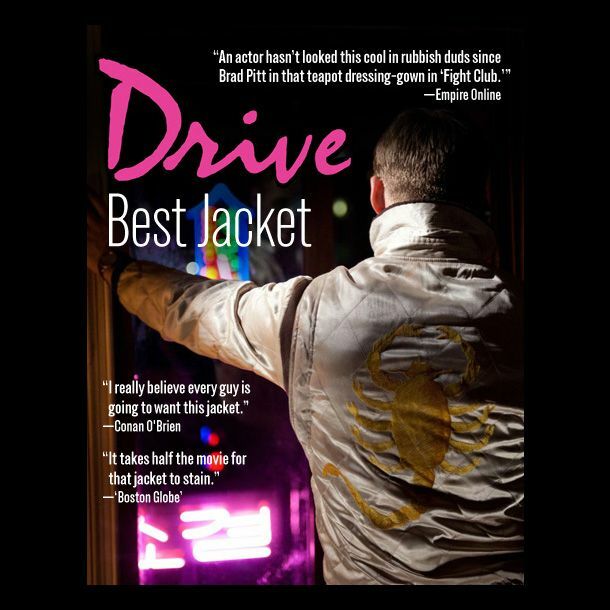 Why waste time lamenting the fact that Drive will be overlooked for Best Picture, when the award we all know it really has to have — no contest — is Best Jacket of the Year? Herewith, eight very honest For Your Consideration ads, honoring films, actors, and orangutans.